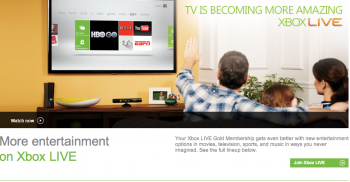 Good news for everyone that's been excited about things like TMZ and MUZU.TV coming to Xbox Live: The wait is now over. Even though it took a little longer than Microsoft originally thought it would, the big update for the Xbox Dashboard finally rolled out last week. One of the big selling points that Microsoft's been promoting has been the number of Kinect-enabled apps that are being released. Some of the apps - like Netflix - were available at the time of launch, but there are a lot more that are rolling out over the next few months. However, a brand new batch has just been released on Xbox Live in a number of regions. The apps should be available now, so long as you're in one of the territories listed above. Microsoft is promising more updates in the near future.